Recently, I spoke with a friend of mine that works for a state & local funded organization. This organization (to remain unnamed) is quite large in the Portland Metro area. He described that there were a number of times they had technical & professional books that were just “thrown away” because they didn’t know where to donate books. Their organization has a layer of red tape that does not allow books to be sold for profit. I told him that he should have sold the books to my company, Cash4Books.net, and then donated the money to charity. I am sure that the Management team would have at least listened to a better solution such as giving the money to a charity. This story brings me to this Green Frugal post about turning used books into donation dollars for your favorite charity. Whether you are an individual with a bookshelf full of books, or if you can relate to the story above, please consider selling used books and donating the money collected to charity! Sell used books at Cash4Books. Optionally use our iPhone app or Android app to price the books quickly and easily. Ship the books for FREE, using our prepaid FedEx or USPS label. Get paid via check or PayPal. Write a check in the same amount to your favorite charity, or use Charity Navigator to find a top-notch charity. Give the leftover books, that Cash4Books didn’t accept, to Goodwill or another local brick-n-mortar donation spot. Charity Navigator provides addresses to mail donations to. Simply click into the charity, and then look in the left column. Doing it this way ensures that you or your business/organization gets the tax write-off for the charity donation. After receiving the check or PayPal payment from Cash4Books, you simply pass on the money to your charity. Please leave a comment below to let us know if you will be selling some books to donate to charity. Thanks! This entry was posted in Cash4Books News & Updates, Fundraising, Giving Back and tagged giving to charity on May 7, 2011 by Jim McKenzie Smith. We have a fundraising idea that your kids can do at home and in your neighborhood. Collect used books from friends, family, and neighbors. Then sell the books to Cash4Books using our iPhone app, Android app, or by entering the numbers on our homepage. A reliable and trusted buyer of quality used books since 2004, our company (Cash4Books) has purchased 1.5 million books from over 230,000 customers. Visit our About Us page to learn more about who we are. Theresa, a Cash4Books employee, decided to try an experiment last summer (2010). She went with her daughter around their neighborhood to try and collect books. They went door-to-door, and in “pop can” style fashion, they asked if people had any used books they could donate to raise some “summer money”. Download the fundraising flyer by clicking above. Customize it to fit your kid’s needs, and use some of your own ideas. Putting a logo or some other picture on the flyer might also be a nice touch (or whichever cause you are raising money for). Print out x copies and have your kid sign each one. Go door to door, and have your kid introduce themselves and why they are raising money. Leave the flyer if they sound interested and if they have books. Circle back in a week and collect the books. Follow the instructions on our website to sell the books and print your FREE pre-paid shipping labels. Haul the leftover books to Goodwill. With the rise of eBooks, more and more people are ready to declutter and clear out their bookshelves. No one is doing this fundraising idea. Going door to door to collect used books is not done very often. Imagine their surprise when your kid is not selling cookie dough or collecting pop cans. Not a lot of readers in your area? The books you collect are too old and have lost their value (we generally purchase books published within the past 5 years). You may find that we do not buy 75-95% of the books you collect (depending on their age and value). However, on a positive note, the Cash4Books buy list does comprise of more than 330,000 titles at any given time. If you end up getting a LOT of books that Cash4Books is buying, go through checkout every time you have a fill a box of books to ship. In other words, it is best not to create one LARGE order–go with several smaller orders instead. Start small and test the waters. If you get some good books, expand to more neighborhoods. If you have kids at home, we truly believe that this fundraising idea has potential for them. Please leave us a comment below and tell us about your experience with it! This entry was posted in Cash4Books News & Updates, Fundraising, Making Extra Money on April 11, 2011 by Jim McKenzie Smith. Last week I spoke with a customer who was raising money for her daughter’s high school grad night. She came up with a brilliant idea to collect books from students, parents, and teachers. She would sell the books collected to Cash4Books and deposit the proceeds into a PayPal account she had created for the school. This got our brains at Cash4Books thinking: what an amazingly green and creative way to get rid of unwanted books and raise money for a great cause! She inspired us to share with you how Cash4Books can help fundraising groups raise money. 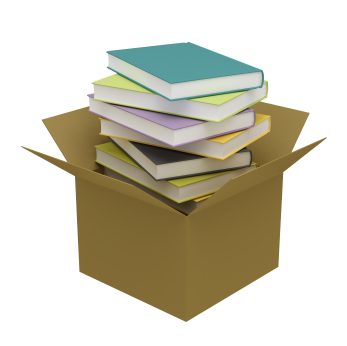 However, before you start emailing, texting, tweeting, and changing your facebook status – here are a few things to consider before collecting boxes of books! Cash4Books may not buy all books. What we buy can change day-to-day depending on resale values, our current inventory, and market demand. What kind of books is Cash4Books more likely to buy? For more information on condition requirements and the books we buy, see our used book condition policy page. To get started with your fundraising, there are five easy steps. Set up your group’s PayPal* account. The coordinator of the group shares the PayPal account (email) name with group members. When each group member registers an account on Cash4Books, they choose PayPal as their payment preference and then they enter the group’s PayPal email at the bottom of the Cash4Books registration form. Each group member must register with their own Cash4Books account, but the PayPal email is what is common across all group members. Second, each group member types in ISBNs, of their books to donate, into the box on the Cash4Books.net homepage. They do this from their own home computer, at their own convenience. They will get a price quote for each book we are buying. Third, each group member chooses their own FREE shipping method. Cash4Books will provide everyone with prepaid shipping labels, so there is no cost to the group or group members! If any of your group members to not have a printer at home, we have a solution for that too–they simply contact us and request free shipping labels be mailed to them. Fourth, group members pack and ship their books to us. The group coordinator may optionally help facilitate this process by providing boxes. Read our FAQ for suggestions on where to find boxes. Five, Cash4Books receives and inspects the books, and then deposits payment into your group’s PayPal account within three business days. For questions, special requests or considerations please contact us. This method of having group members enter their ISBNs from their own home computer is generally preferable to the alternative method (not described here) of having a book drive and a single point drop-off location. This is because book drives tend to get older books that are in low demand, which decreases the chance that Cash4Books will buy them. 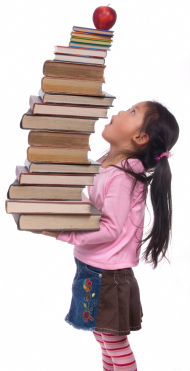 For more information, read our blog article “Why didn’t Cash4Books want to buy my book?“. * As an alternative to PayPal, Cash4Books can also issue a check to your group by sharing the name and address field across group members in the registration process. This entry was posted in Cash4Books News & Updates, Fundraising, Making Extra Money and tagged Cash4Books News & Updates, Donate, free, Fundraising on August 20, 2010 by Jim McKenzie Smith.